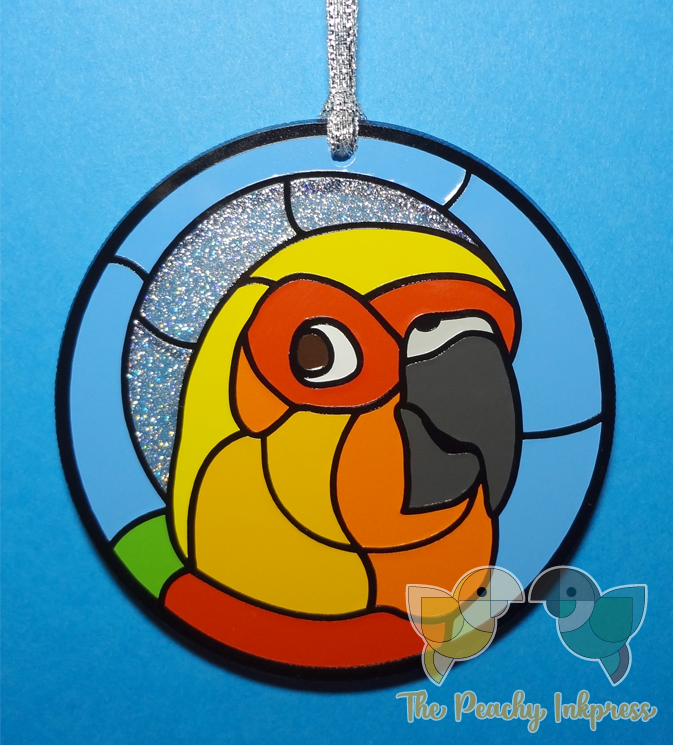 Home > Keychains and Ornaments > Acrylic Pet Ornament - Custom Made! 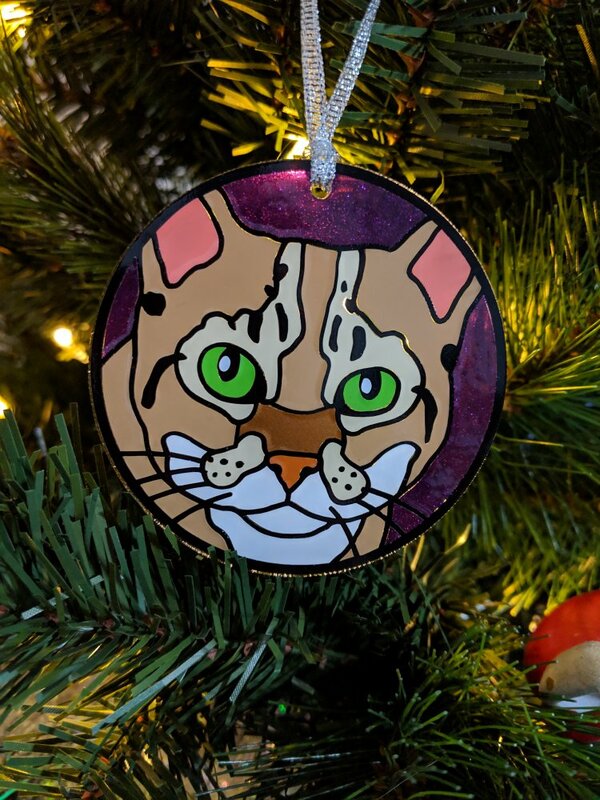 Acrylic Pet Ornament - Custom Made! Would you like a halo? Would you like a protective epoxy coat added? 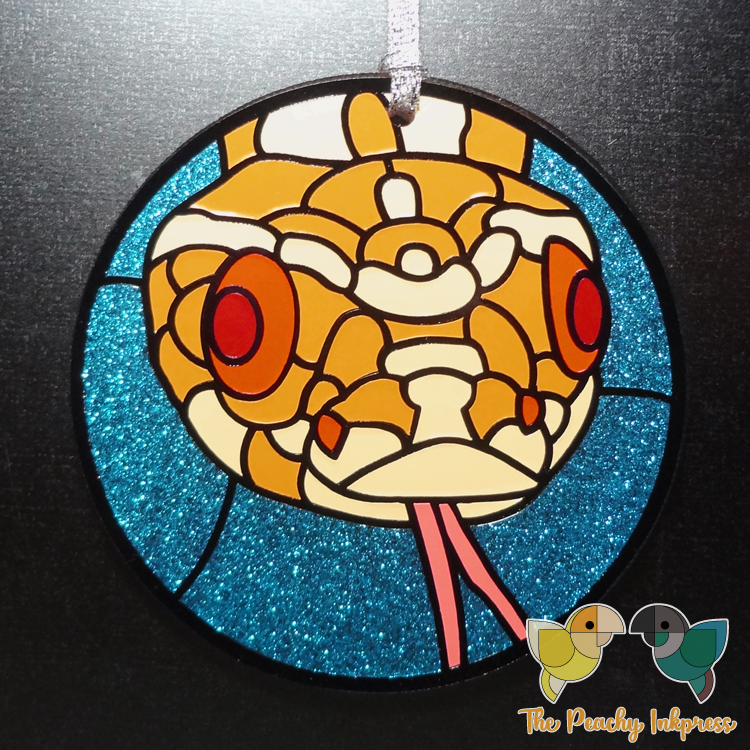 These 3 inch acrylic ornaments are made by hand to imitate stained glass. They would make perfect decorations for your wall, mantle, window, or even your Christmas tree. 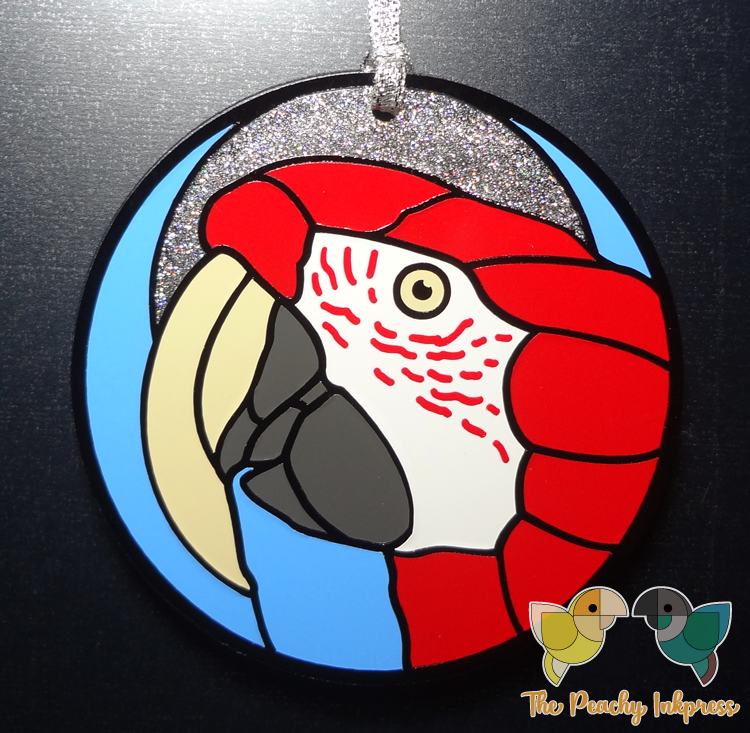 This ornament can by ANY one pet-- Your bird, guinea pig, dog, cat, rabbit, rat, horse, etc! 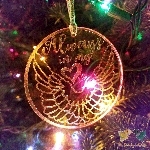 If this ornament is for a beloved pet that has crossed over to the Rainbow Bridge, let me know. I am more than happy to add a sparkly halo to your design. After you place your order, I will ask for several pictures of your pet's profile so I can choose the best one to fit the design. I will send you a proof for you to look over before cutting the design. Once you approve, I cannot make changes. Production time will take a little longer on these custom designs due to the extra work involved. I use high quality, glossy Oracal vinyl. The regular colors are rated to last 6 years outdoors, and the holographic and metallic colors are rated 3-4 years outdoors. The colors displayed may vary due to monitors' individual color display settings. Extremely Beautiful & Well Made! My husband and myself just love our ornament. It will be treasured forever. A perfect keepsake to remind us of our very sweet girl. Copyright The Peachy Inkpress. All Rights Reserved.